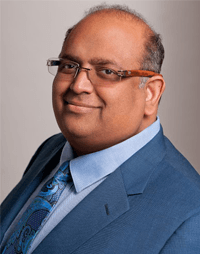 Dr. Komanduri is a board-certified orthopedic surgeon who has been serving	Will County and the Joliet area since 1994. He has served as team physician	for Romeoville High school, Joliet Junior College, Minooka High School,	The University of St. Francis and Joliet Catholic Academy. Dr. Komanduri	is the current team physician for Providence Catholic High School (since	1995) and Plainfield Central High School (since 2013). With the help of	athletic trainers and directors at Providence Catholic High School, Dr.	Komanduri implemented the first standardized concussion identification	and treatment program in Will County. Residency, The University of Chicago Medical Center – Orthopedic	Surgery 1990-1994. Internship, The University of Chicago Medical Center – General Surgery	1989-1990. Current Concepts in Joint Replacement. Genzyme ACCI Training. Sports and Joints. Smith and Nephew Minimal Incision Knee Replacement. Smith and Nephew Birmingham Hip resurfacing. Smith and Nephew Bicompartmental Kness Replacement. Honors Program in Medical Education – 6 year B.S./M.D. Program. Howard Hatcher Research Award in Orthopedic Surgery. American Association of Trauma Research Award. Smith and Nephew Richards Resident Research Award. “Tensile Strengths of Flexor Tendon Repairs in a Dynamic Cadaver	Model”, published in Americal Journal of Hand Surgery. Presented	at American Academy of Orthopedic Surgeons – Orlando, Florida. Presented	at Smith and Nephew Richards Orthopedic Residents Conference – Memphis,	Tennessee. Presented at American Society for Surgery of the Hand –	Kansas City, Missouri. Presented at American Association of Hands Surgery	– Cancun, Mexico. “Distal Radial-Ulnar Joint: Injury and Treatment”	– University of Chicago Hand Conference. “Deep Vein Thrombosis:	A Review of the Literature” – University of Chicago Trauma	Conference. “Compartment Syndromes: PAthology and Treatment”	– University of Chicago. “Forearm Anatomy and Operative Approaches”	– University of Chicago Anatomy Basic Science Course. “Tensile	Strengths of Flexor Tendon Repairs in a Dynamic Cadaver Model”,	University of Chicago, Grand Rounds. Healthsource Case Manager Conference. Sofeco Adjustor Conference. Fremont Adjuster Conference. WCS Nurse Case	Manager CEU Course “Articular Cartilage Restoration”. WCS	Nurse Case Manager CEU Course “Shoulder Instability”.